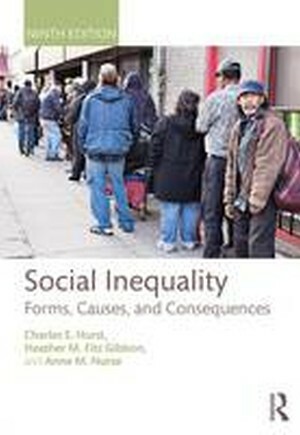 Like past editions, this ninth edition of Social Inequality: Forms, Causes, and Consequences is a user-friendly introduction to the study of social inequality. This book conveys the pervasiveness and extensiveness of social inequality in the United States within a comparative context, to show how inequality occurs, how it affects all of us, and what is being done about it. This edition benefits from a variety of changes that have significantly strengthened the text. The authors pay increased attention to disability, transgender issues, intersectionality, experiences of Muslims, Hispanic populations, and immigration. The 9th edition also includes content on the fall-out from the recession across various groups. The sections on global inequalities have been greatly updated, emphasizing comparative inequalities and the impact of the process of globalization on inequality internationally. The authors have also added material on several current social movements, including Occupy Wall Street, Black Lives Matter, and Marriage Equality.